Polish Days constitutes the most important industry event at the T-Mobile New Horizons International Film Festival. There, more than 250 movers and shakers of the Polish and international film industry, from producers and film funds to buyers and festival programmers from Berlin, Semaine de la Critique, Rotterdam, Venice, Tribeca and New Directors/New Films, met to watch the latest Polish films at closed screenings. This year, the event took place from July 29 to 31 in the city of Wrocław, Poland. The 2015 edition focused on funding and German producers. Polish and German film producers met at a conference organized by the Polish Film Institute, the Film Commission of Poland, Mitteldeutsche Medienförderung (Mdm), Medienboard Berlin-Brandenburg, German regional funds and the Cottbus Film Festival. A total of 26 films and projects by both first-time directors and well-established filmmakers were selected for the industry event. In fact, among the works shown in full at closed screenings were Karlovy Vary competition titles "The Red Spider" by Marcin Koszalkaand "Chemo" by Bartosz Prokopowicz as well as the debut features by Wojciech Kasperski "The High Frontier," "Berlin Diaries" by Przemysław Wojcieszek, "My Sister" by Kinga Dębska and Krzysztof Łukaszewicz’s "Karbala." As far as the work-in-progress section is concerned, it presented 10 films. These were "Baby Bump" by Kuba Czekaj, "Journals" by Wiktoria Szymańska, "Waves" by Grzegorz Zariczny, "Into the Spirale" by Konrad Aksinowicz, "All These Sleepless Nights" by Michał Marczak and two projects pitched at the festival last year - "Wild Roses" by Anna Jadowska and "Volhynia" by Wojtek Smarzowski. Two documentaries were also presented here: "21 x New York" by Piotr Stasik and "When You Return" by Anna Zamęcka. Pitchings presented Polish films at an earlier stage of development and production included new works by Marcin Wrona ("Lili"), Dorota Kędzierzawska ("Speedway") and Marcin Dudziak ("Presence"), as well as the following debut features: "The Last Family" by Jan P. Matuszyński, "Tower" by Jagoda Szelc, "Forest" by Joanna Zastróżna and the Cinemart project "Hurrah, we're still alive!" by Agnieszka Polska. Moreover, three projects by foreign directors but developed in Poland were also pitched: "AA" by Jack Faber, "Marie Curie" by Marie Noelle and "People I'm Not" by Francesco Rizzi. Post-production awards from Toya Studios (sound) and Chimney Poland (image) went to "People I'm Not" by Francesco Rizzi, "Tower" by Jagoda Szelc and "Speedway" by Dorota Kędzierzawska. In the case of "The Last Family," David Ogrodnik, one of the stars of the critically acclaimed hit "Ida," has been cast in the film as Tomek, the son of Polish artist Zdzislaw Beksinski, played by Andrzej Seweryn, a veteran film and theater actor. Polish Days is co-organized with the Polish Film Institute. The event’s partners include the Film Commission of Poland, the Mazovia-Warsaw and Wrocław Film Commissions, the Adam Mickiewicz Institute, the National Audiovisual Institute and post-production studios Toya Studios and Chimney Poland. The Europe-wide, one of a kind workshop program Sofa - School of Film Agents - which supports international film professionals and mediators in the realization of film cultural projects will take place from August 15th – 24th, 2014 in the Polish city of Wroclaw (Breslau). Founded in 2013, the second edition of Sofa’s workshop-initiative will invite young "film agents“ from Central and Eastern Europe, Germany, Central Asia, the Baltic Republics and, for the first time, Greece to work together with experts on their projects with the goal of further developing the regional film culture and industries in their respective countries. Within the framework of the Works in Progress« screenings at the 49th International Film Festival Karlovy Vary (Czech Republic) – the most important film cultural event for the Sofa-relevant territories – Director, Nikolaj Nikitin introduced the eight participants to take part in the second edition of Sofa. "From innovative VoD solutions to a large-scale national cinema / theatrical digitialization project, to the founding of a regional film subsidy initiative: the breadth of these participating projects reflects - with impressive ideas - the film-structural challenges we are attempting to address in those respective regions“, states Nikitin. Anna Bielak, Poland : Aur! Magazine – Awesome / Unique / Radical!«. A high-quality cinema magazine in print for Poland. Dániel Deák, Hungary : Festivalised - Community Platform for Film Festival Guests«. A film festival advisory system which helps filmmakers to find the right festivals for their particular projects. Kestutis Drazdauskas, Lithuania : Front – Film Republic of Networked Theaters«. A cinema digitialization network for Lithuania. Cristian Hordila, Romania : Cluj City Film Fund. A film fund with which Cluj-Napoca intends to re-open its doors to the film world, re-creating a film production center around the city. Marija Stojanovic, Serbia : What I See - Program for Audience Development and Stimulation of Critical Approach in the Field of Audio-Visual Culture and Arts«. What we see is what we are: an educational film project for Serbia. Angeliki Vergou, Greece : Octapus - A delicious new way to watch Greek films«. A VOD-Platform for Greek films. Jakub Viktorín, Slovakia : Dds – Digital Database of Slovakia: Your Personal Online Library of All Film Content Slovakia can Provide. An internet-based database revolving around the film culture of Slovakia. Jonas Weydemann, Germany : »Directors Collection«. 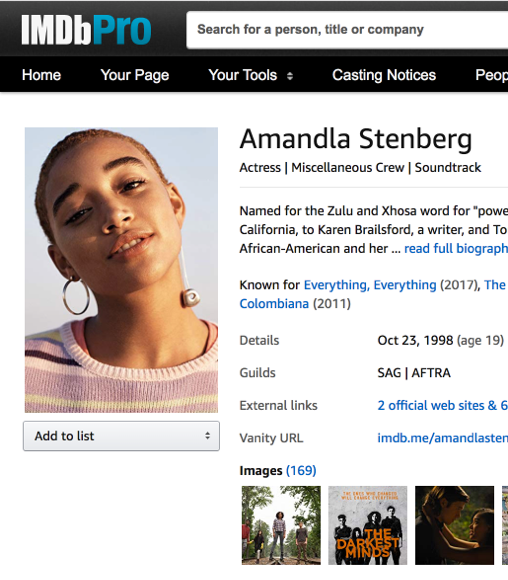 A b2b platform connecting producers/worldsales directly with national cinemas around Europe, providing a transparent system for licensor and licensee. From August 15th – 24th, 2014 the eight participants will work intensively on their projects with internationally experienced experts and mentors in the Polish city of Wroclaw (Breslau) - European Capital of Culture 2016. They will be supported by Sibylle Kurz (pitching expert, Frankfurt), Roberto Olla (Eurimages, Strasbourg), Ewa Puszczynska (Opus Film, Lodz), Renaud Redien-Collot (Novancia Business School, Paris), Peter Rommel (Peter Rommel Film, Berlin), Katriel Schory (Israel Film Fund, Tel Aviv) among others. The success of Sofa has been proven: numerous projects from the first edition of Sofa 2013 have already been able to be realized or are shortly before. For example, Leana Jaluske’s project "Doktok“ – a distribution initiative for Estonian documentary films – was able to be established with the help of Sofa. Melinda Boros is currently leading the „Tiff Studio Workshops“ in Cluj and Sonja Topalovic was recently able to rejoice over Eurimages funding for her interactive database "Fbo – Festival Box Office“. Sofa – School of Film Agents is a joint project of the Filmplus gUG (Cologne) and the Fundacja Filmplus (Warsaw) together with the city of Wroclaw (Breslau) and the Polish Film Institute, funded by the Foundation for Polish-German Cooperation, the Federal Foreign Office, the International Visegrad Fund, the Film- und Medienstiftung Nrw, The Creative Europe Desk Poland, The Alfred Toepfer Foundatio and Eave – European Audiovisual Entrepreneurs and supported by the Adam Mickiewicz Institute, in collaboration with the Goethe-Institut in Poland (Krakow), Serbia, Hungary, Slovakia, Romania, Lithuania and its Head Office in Germany, and with the support of the Film Commission Poland and the Wroclaw Film Commission. New Films by Przemyslaw Wojcieszek, Marcin Krzysztalowicz, Jolanta Dylewska and Andrzej Wajda, will be presented to the foreign professionals during the key industry event of the 14th T-Mobile New Horizons International Film Festival. The organizers expect around 150 guests to attend. Polish Days is the most important industry event at the 14.T-Mobile New Horizons International Film Festival (24 July – 3 August 2014), where industry representatives including programmers, sales agents, producers, film funds and distributors from all over the world watch the latest Polish films at closed screenings. This year’s edition of Polish Days will take place on July 30 – August 1. Six completed Polish films and ten works-in-progress will be shown at closed screenings, while eleven projects will be pitched to the international audience. Among the finished films, the representatives of the international film industry will have the chance to see "15 Corners of the World" by Zuzanna Solakiewicz, which will have its world premiere in the Films on Art International Competition at the T-Mobile New Horizons Iff and then international premiere in the Settimana della Critica section of the Locarno Ff in August. Other films shown in full at the closed screenings during Polish Days include "Gods" by Lukasz Palkowski, "Call me Marianna" by Karolina Bielawska, "Performer" by Lukasz Ronduda and Maciej Sobieszczański and two films that will compete in the Main Competition of the T-Mobile International Film Festival - "How to Disappear Completely" by Przemyslaw Wojcieszek and "Calling" by Marcin Dudziak. The organisers hope to secure one extra title in the last moment before the event starts. Projects in development presented in the pitching session include, among others, "Hungry" by Katarzyna Klimkiewicz, "I’m the Killer" by Maciej Pieprzyca, "Volhynia" by Wojciech Smarzowski, "Window" by Anna Jadowska, "Rosa" by Denijal Hasanovic and "Toxaemia" by Julia Kolberger. This year, for the first time, two projects presented in the section will be awarded with post-production awards given by Polish Days’ new partners - post-production companies Toya Studios and Chimney Poland. The works in progress section will show clips from the following films, which are currently in production: "And There Was Love in the Ghetto " by Jolanta Dylewska and Andrzej Wajda, "Carte Blanche" by Jacek Lusiński, "Journey to Rome" by Tomasz Mielnik, "I, Olga Hepnarova" by Tomás Weinreb and Petr Kazda , "The Here After" by Magnus von Horn, "Walser" by Zbigniew Libera and "Close Ups" by Magdalena Piekorz, among others. The organizers are expecting around 150 guests at the event. Confirmed attendees include programmers from Berlin, Cannes, Rotterdam, Istanbul, Edinburgh, and Hong-Kong, as well as a number of buyers such as Level K, Ndm, Premium Films, Film Republic, Alpha Violet, Indie Sales, New Europe Film Sales, Just Film Distribution, Imagine Film, Soda Pictures and Epicentre. This year’s special guests will be a group of Turkish film professionals invited to Wrocław in cooperation with the international film festival in Istanbul, the Adam Mickiewicz Institute and the Turkish Ministry for Culture and Tourism to celebrate the 600 years of diplomatic relations between the two countries. Polish Days are co-organized with the Polish Film Institute, Odra Film and the Wrocław Film Commission with the support of the Lower Silesia municipality and the city of Wrocław. Event partners include Film Commission Poland, Łódź Film Commission, Mazovia Warsaw Film Commission, Poznań Film Commission, Kraków Film Commission, Silesia Film Commission, National Audiovisual Institute, as well as post-production studios Toya Studios and Chimney Poland. New Films by Andrzej Wajda and Jolanta Dylewska will be amongst those presented during industry event Polish Days which will take place during the 14th T-Mobile New Horizons International Film Festival. Amongst the titles due to be screened at Polish Days are new films by Przemysław Wojcieszek, Marcin Krzyształowicz, Jolanta Dylewska and Andrzej Wajda. The films will be presented at the industry event - which showcases Polish films to international sellers, buyers and programmers - as part of the 14th T-Mobile New Horizons International Film Festival. Over 150 foreign professionals are expected to attend. Six completed Polish films and ten works-in-progress will be shown at the closed screenings, while eleven projects will be pitched to the international audience. Among the finished films will be Zuzanna Solakiewicz’s 15 Corners of the world which will have its world premiere in the Films on Art International Competition at the T-Mobile New Horizons Iff. The School of Film Agents 2014 will take place Aug 15-24 in Wroclaw and feature eight projects. The School of Film Agents (Sofa) will have its second edition in Wroclaw from Aug 15-24, it was announced in Karlovy Vary on Monday . Sofa is a workshop programme which supports international film professionals and mediators in the realisation of film cultural projects, initiated and started last year by Nikolai Nikitin [pictured], the Berlinale delegate for Eastern Europe. Within the framework of Karlovy Vary’s Works in Progress, Nikitin introduced the eight participants from “Sofa-relevant terrtories”: Central and Eastern Europe, Germany, the Baltic countries and Greece. “We are looking for projects that are about developing the film infrastructure of their country,” Nikitin told Screendaily. “If you look at France, Germany, UK, they are developed markets with lots of possibilities to finance, show, and archive your movie. The first School of Film Agents (Sofa) will run in Wroclaw from August 19 -30. Young film professionals from Central and Eastern Europe, Central Asia, the republics of Caucasus and Germany are being invited to Wroclaw in Poland for a two-week workshop. It marks the first School of Film Agents (Sofa) and will run from August 19 -30, initiated by Nikolaj Nikitin, the Berlinale’s pre-selector for Eastern Europe. Sofa provides residency and intensive workshops enabling ten young film agents to develop a tailor-made concept and financing plan for their particular project - individually and intensively accompanied by the experts’ feedback. It is designed for curators, festival organizers, distributors and cinema operators – “film mediators“ - who actively contribute to the sustainable noticeability of film and cinema in their respective home country. “Sofa is a unique institution which strongly and sustainably supports diversity and freedom of the arts”, says Nikitin.